Back to school is just around the corner for most of us. 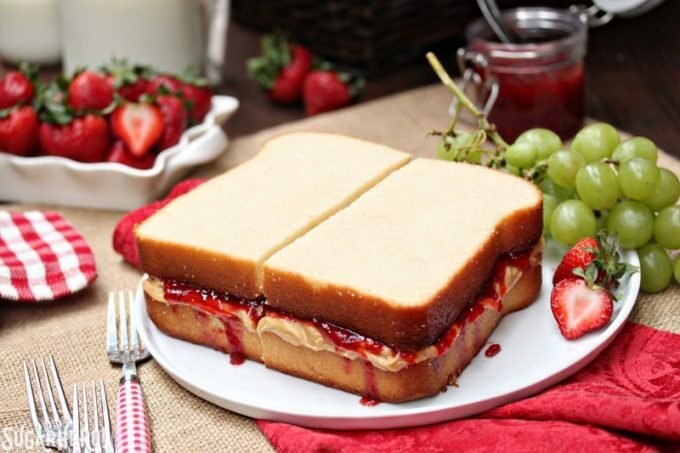 Celebrate the beginning of the school year with a fun classical Peanut Butter and Jelly Sandwich Cake recipe from Sugar Hero! This cake is combined with delicious tasting ingredients, such as pound cake, peanut butter frosting, and homemade strawberry jam. Making one of the perfect sweet after school-treats on the first day of school!